Looking disturbed, 20-year-old Nelson Matatizo Mumba says he is uncomfortable to come back again to Chitipa District Hospital in northern Malawi to seek reproductive health services. The young man from Kameme Village in Traditional Authority Kameme in the district is disillusioned by the general absence of Youth Reproductive Friendly Health Services (YRFHS) at the hospital. He says the hospital no longer adheres to standards and specialized approaches of YRFHS that usually attract serve and retain young people as clients. “We cannot express ourselves because the environment of the facility that provides YRFHS is no longer conducive for young people like me,” Mumba says. Apparently, his reservations and views represent the general feeling and perception of many Malawi youths that this reporter interacted with at Chitipa Boma recently. Youth groups from various places in the district expressed their concerns over the provision of YRFHS recently during focus group discussions on critical issues that are affecting them. The discussions, facilitated by Democracy Consolidation Programme (DCP), were aimed at establishing the level of youth participation in development activities and challenges that are compromising the enjoyment of their rights. A good number of them say that the current state of health services provided to the youths by the hospital are less inspiring and threat to their reproductive health. Many say they are discouraged to access health services from the district’s hospital because the facility that was intended to provide youth friendly health services no longer adheres to the required principles. They cite issues to do with the attitude of some service providers, lack of privacy and confidentiality and lack of outreach services specific to the youths as some of the factors discouraging many of them from seeking help. “Many young people do not want to meet the old nurse. Instead of being assisted properly, this nurse asks you many questions that smacks of condemnation,” says Mumba who is also a member of Kameme Youth Club. Secondly, lack of privacy and confidentiality is also putting away the youths from accessing these services. Charity Mwandira, a member of Chitipa Concern Youth Organisation, say that when they go to the facility they do not receive specific attention required by young people. “Previously, youths with reproductive health problems were assisted as quickly as possible. But now they have to line up just like all people with general problems,” Mwandira said. She said that most youths are avoiding the facility because they feel their privacy is compromised when they are made to queue on the line like any other patient. Inadequate outreach services to young people living in areas surrounding the facility is also another impediment that is discouraging youths to visit the clinic. According to the National Population and Housing Census of 2008 by the Malawi National Statistics Office (NSO), the majority of the youth, about 85 percent, live in rural areas and rely on only health centres, classroom education and community events for YFHS. While efforts are made at national level to scale up outreach services, in Chitipa these efforts are facing major challenges. Grace Sichula from Ungweru Youth Club at Chitipa Boma said that provision of outreach services are no longer there. “In the past services were also provided through mobile clinics, youth clubs and door-to-door visits. As clubs we could go around for peer-to-peer education and supply materials like condoms to the youths in hard-to-reach places. This was under a project by Unicef. When the project phased out, everything completely stopped,” Sichula disclosed. She said as youth clubs in the district, they have been lobbying for change in some of challenges they are facing specifically at the district hospital. “We have been reporting these issues to the District’s Youth office to channel our concerns to the hospital but nothing is changing. It is for this reason that the number of youths accessing reproductive health service is decreasing,” she said. District Youth Officer (DYO) for Chitipa, Youngson Ngwira confirmed that his office is aware of the challenges young people are facing when it comes to access to youth friendly health services. “It is a sad situation that the provision of such services has drastically reduced or is no longer in existence. This situation is putting in danger the lives of many youths who are more than half the population of the district,” he said. Ngwira explained that although the district hospital has a facility for the provision of YFHS, it does not meet the needs of the youths because it lacks resources. But he observes that some challenges like the attitude of health professionals can be addressed by putting in young professionals whom the youths can be comfortable with. “Most youths in Malawi feel comfortable interacting with peers and providing one as their health service provider is the benchmark of YFHS,” Ngwira added. He also said that his office has tried on several occasions to channels these issues to the hospital’s administration but nothing has been done so far. Officials from Chitipa District Hospital have been reluctant to comment on these concerns raised by the youth themselves and the district’s youth office. One of the officials, Clement Tembo, told this reporter that he is no longer the coordinator for youth friendly health services at hospital. He referred the matter to the hospital’s spokesperson Masida Nyirongo who said he would provide contacts for the new coordinator, a thing he never did and could not pick up calls. There are fears among most youths in Malawi. Many feel that if the highlighted problems are not addressed, they are highly likely to condemn them as the most vulnerable population to reproductive health problems. According Malawi NSO, out of the total population of 218,000 people in Chitipa, 114,000 are the youths. This figure represents 52.3 percent of the total population. This situation undermines the spirit of the global development agenda of meeting the target of reproductive health under Sustainable Development Goal (SDG) number three which promotes health living and well-being for all people at all ages. 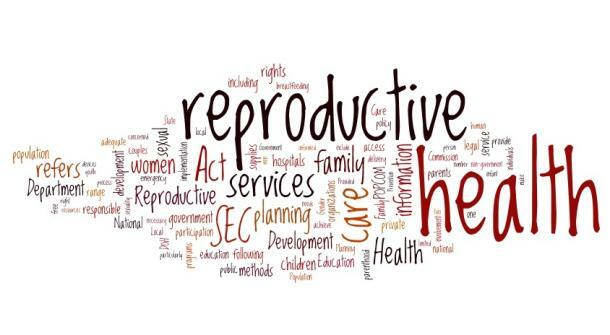 One of the target under this states that by 2030, there should be universal access to sexual and reproductive health-care services, , including for family planning, information and education, and the integration of reproductive health into national strategies and programmes. While the Malawi National Youth Friendly Health Services Strategy (2015-2020) calls for high-quality services that are relevant, accessible, attractive, affordable, appropriate and acceptable to young people, it seems that the youths in Chitipa have a long way to go since none of the stated principles apply in their situation. And Nelson Mumba feels there are being robbed of their rights and responsibilities as youths.